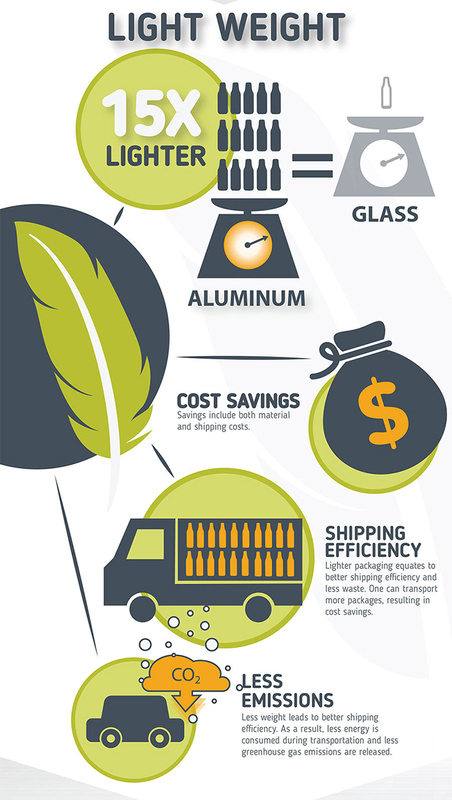 Better Returns: The return on aluminum scrap is more valuable than plastic or glass. The scrap rate per ton helps subsidize municipal recycling. 60days less cycle time: Bottles have a short 60 day, bin-to-shelf turnaround. 95% Less Reduced Carbon Footprint: Bottles produced with recycled material use 95% less energy when compared to bottles made from raw material. 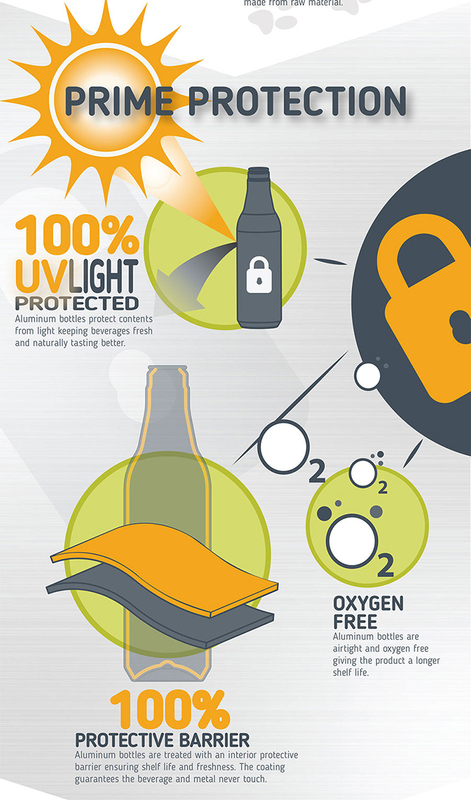 100% UV Light Protected: aluminum bottles protect contents from light keeping beverages fresh and naturally tasting better. 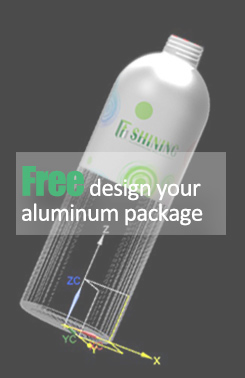 Oxygen Free: Aluminum bottles are airtight and oxygen free giving the product a longer shelf life. 100% Protective Barrier: Aluminum bottles are treated with an interior protective barrier ensuring shelf life and freshness. The coating guarantees the beverage and metal never touch. Cost Savings：savings include both material and shipping costs. Shipping Effciency：lighter packaging equates to better shipping efficiency and less waste.One can transport more packages, resulting in cost savings. unlike glass, aluminum will not shatter! this means less bottles broken, especially during transportation. 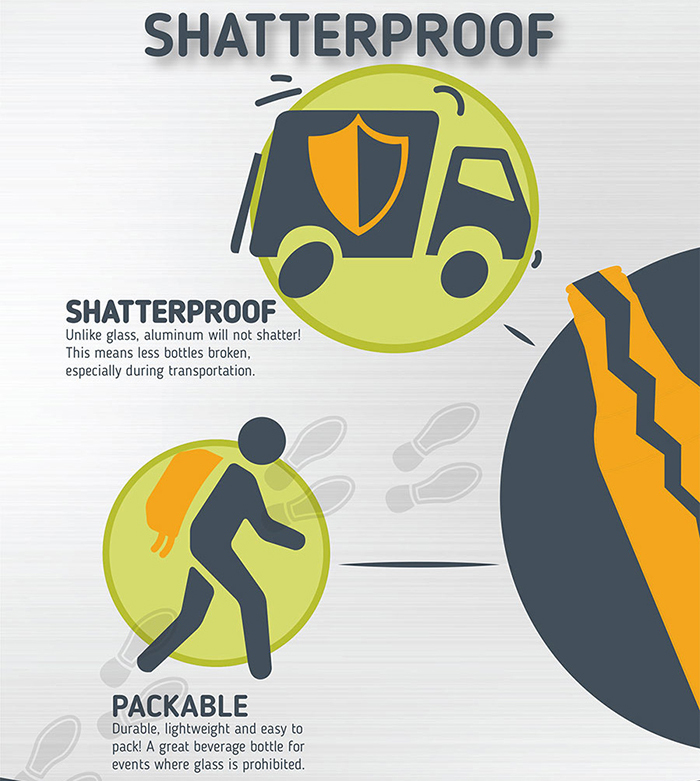 Packable: durable, lightweight and easy to pack! A great beverage bottle for events where glass is prohibited.